Wide-ranging species may have different levels of bacterial immunity than their rarer relatives, new research suggests. 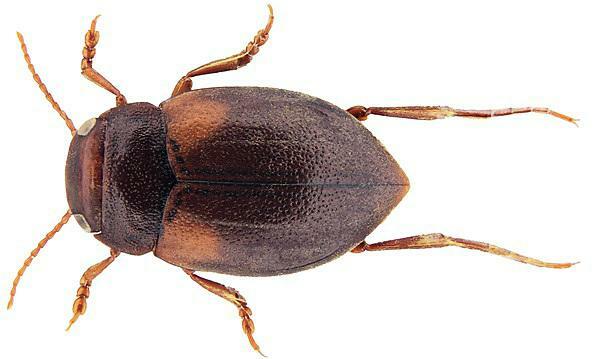 The study, conducted by Plymouth University PhD student Rebekah Cioffi and supervised by the University’s Dr John Moody, Professor David Bilton and Dr Richard Billington, examined the physiological and immune properties of Deronectes diving beetles, species of which are found living across Europe. Scientists collected samples of widespread and restricted species and then assessed temperature tolerance, metabolic flexibility and immunity. The results showed that while variation in how widespread a species was, and how northerly it was distributed, were explained in part by temperature tolerance, aspects of metabolic plasticity and immunocompetence also appeared important. For the study, scientists in Plymouth and at the Department of Ecology and Hydrology at the University of Murcia in Spain, compared metabolic plasticity and immunocompetence across closely related species of Deronectes which differ in geographical range size and position. They then combined these data with thermal tolerance, dispersal ability and phylogenetic history, to explore their relative importance in shaping distribution. The full study – Physiological niche and geographical range in European diving beetles (Coleoptera: Dysticidae) by Cioffi, Moody, Millan, Billington and Bilton (2016) – is published in Biology Letters volume 12 as an invitation to the mini-series ‘Evolutionary ecology of species ranges’, doi:10.1098/rsbl.2016.0130.